The Ampeg SVT-7PRO pumps out a ferocious kilowatt of pure Ampeg tone in a compact design that weighs in at just 15lbs. 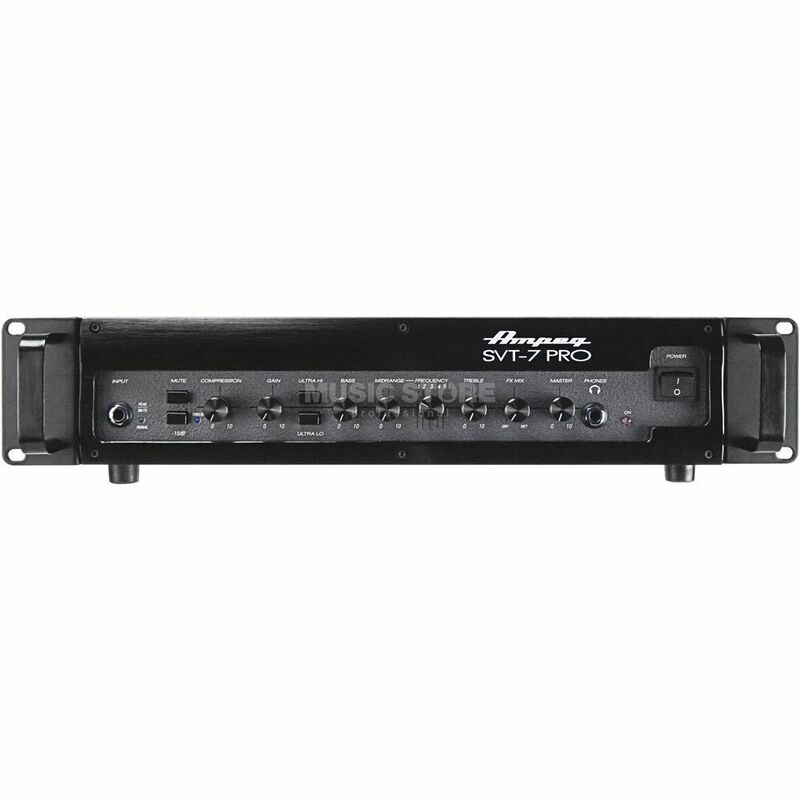 The Ampeg SVT-7PRO features the same professional features as the other PRO Series heads including a flexible 5-position mid tone control, remote switching FX loop and a sleek onboard variable compressor. The tube preamp boasts a premium JJ 12AX7 that feeds the weight-defying Class-D power section. Sure it’s portable and yes, it’s small…but it can power everything from a small single PN-115HLF up to a monster Heritage SVT-810E. And at 80 cents a watt, the value is undeniable. This piece of equipment essentially does everything. It plays all genres and works great with all types of basses. I use it plugged in straight to the sound card for recording and into a cab for rehearsals and it sound fat and full in both instances. The controls are really simple, with a built in compressor and very cool ultra hi and ultra lo features that can really fine tune your sound. Recommended for pro players and for amateurs looking for high end equipment for home recordings.